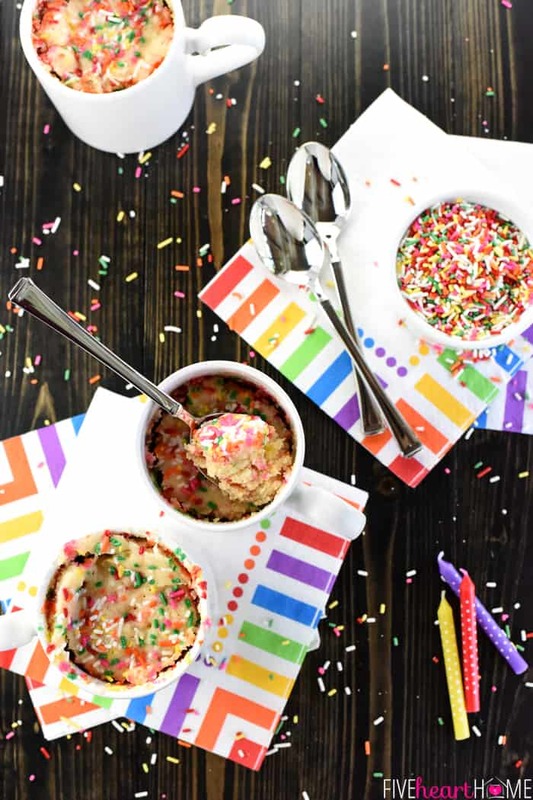 Funfetti Mug Cake is a light, fluffy, single-serving vanilla cake bursting with colorful sprinkles that comes together in just a few minutes — the perfect way to celebrate a birthday, anniversary, or any special occasion! Guess what today is??? Five Heart Home’s 3rd blogiversary! That’s right, friends…three years ago today, I gritted my teeth, squeezed my eyes shut, and hit publish on my very first blog post. 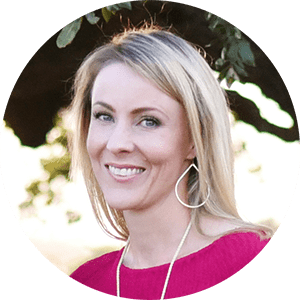 And I never could have imagined the journey since then…that with lots of hard work, this blog would evolve into my full-time job and, in the past year, even lead to me writing a cookbook. What?! Crazy. So what say we celebrate with sprinkles and cake! 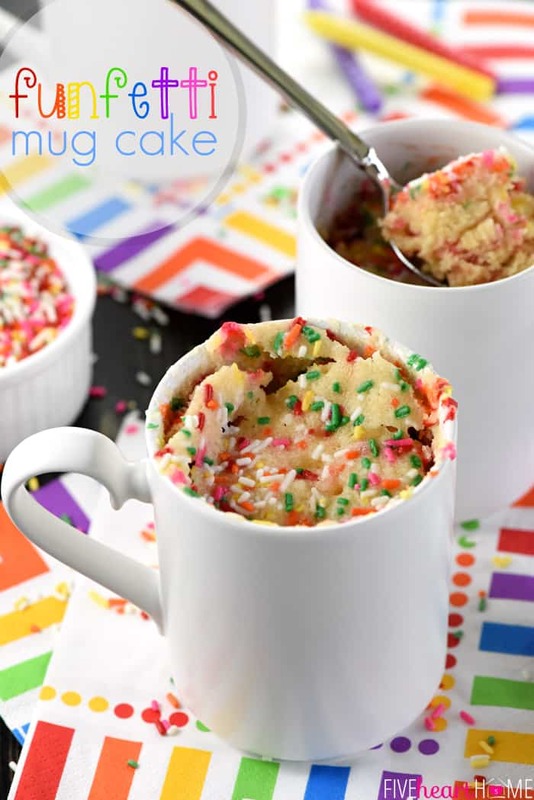 Funfetti Mug Cake is my latest microwave mug cake incarnation, and this one is super festive and yummy. 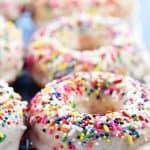 Despite the fact that I generally avoid feeding my family food coloring, my kids do adore sprinkles. So we occasionally indulge on special occasions, and today seems as fitting a reason as any! 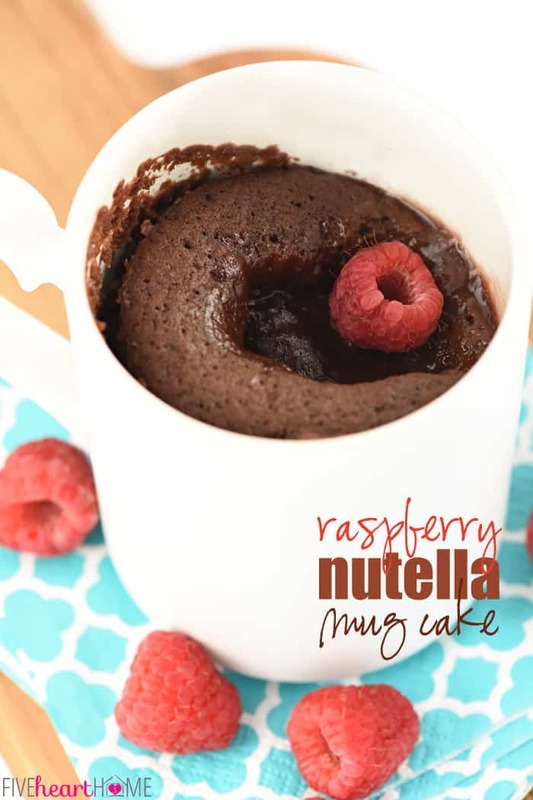 This mug cake batter takes only a couple of minutes to stir together, and then the cake bakes up in the microwave in another minute or two. That means you’re less than five minutes away from your own personal vanilla cake studded with happy, colorful sprinkles! 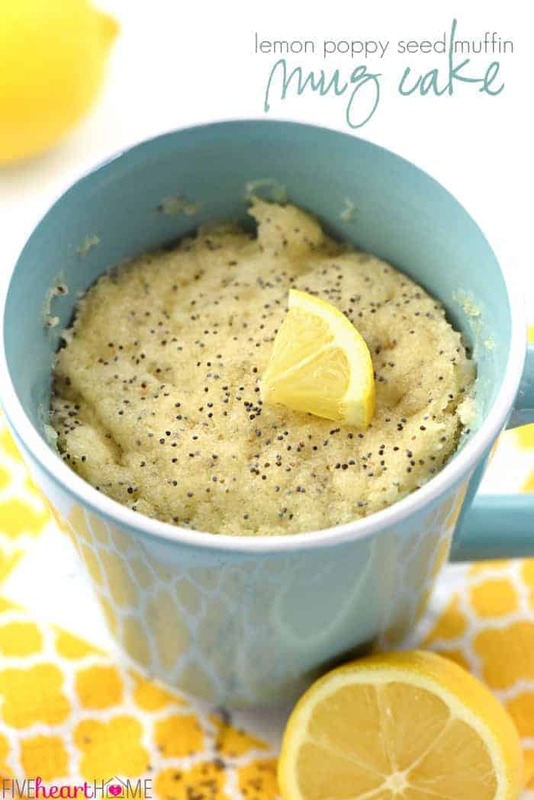 The base of this mug cake is my tried-and-true recipe. It yields light, fluffy cake, and the sprinkles add little bursts of sweetness and crunch. I added a tiny bit of almond extract in addition to the usual vanilla extract, which I think gives this Funfetti Mug Cake even more of a birthday cake vibe. And if you want to make several mug cakes at once, simply multiply the recipe accordingly, stir up the batter in one bowl, divide it evenly between the appropriate number of mugs, and microwave them one at a time. Looks like a party to me! To thank y’all for three fun-filled years of amazing support — for visiting, for reading, for making my recipes, for leaving comments, for following Five Heart Home on social media, for sharing it with your friends and family — I’ve put together a little giveaway today. 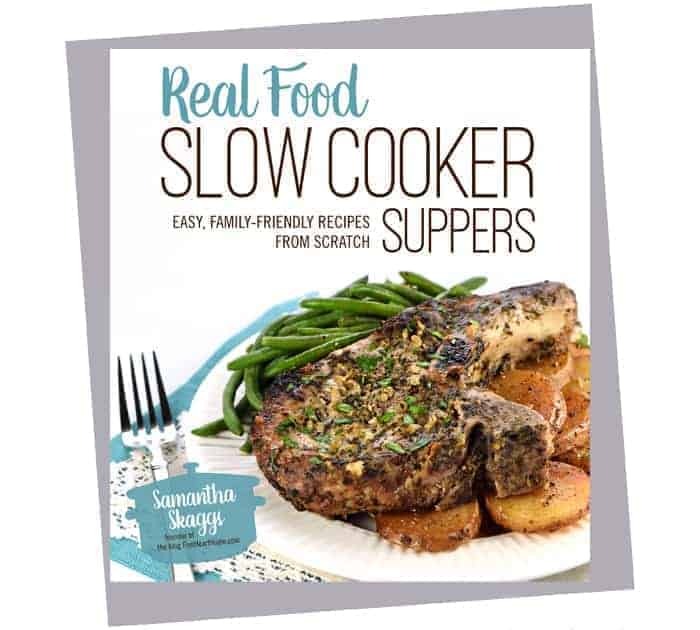 Enter via the Rafflecopter below for your chances to win a $100 Amazon e-gift card, PLUS my new Real Food Slow Cooker Suppers cookbook (which will be shipped to your door once it comes out this fall)! 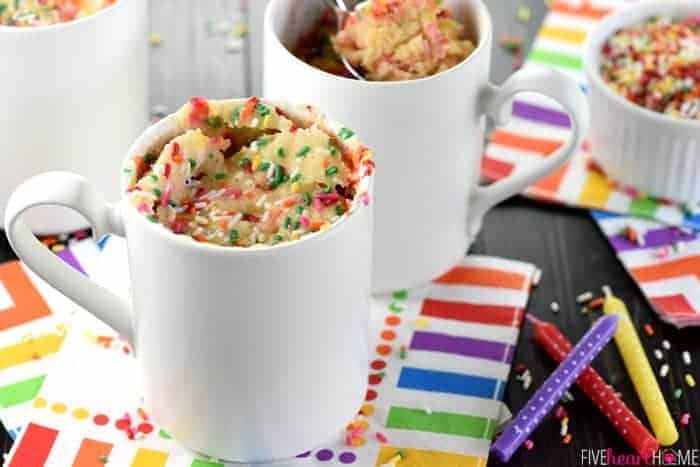 Funfetti Mug Cake is a light, fluffy, single-serving vanilla cake bursting with colorful sprinkles that comes together in just a few minutes -- the perfect way to celebrate a birthday, anniversary, or any special occasion! In a small bowl, whisk together flour, sugar, and baking powder until thoroughly, completely combined, with no streaks of any ingredients remaining. Blend in milk, butter, vanilla, and almond extract until batter is smooth. 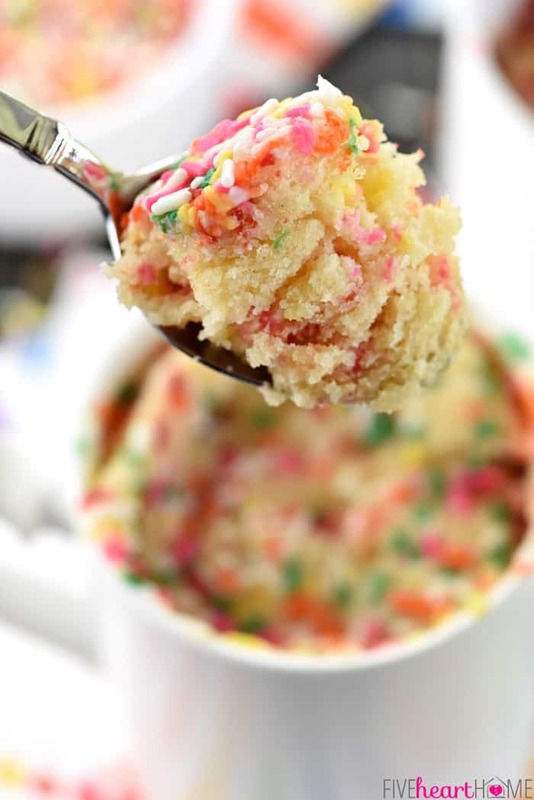 Quickly stir in 1 tablespoon of sprinkles. 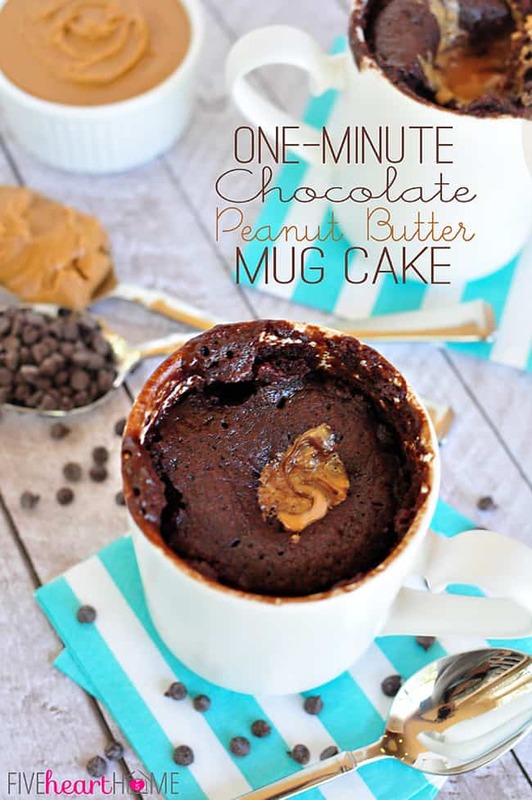 Pour batter into a 14-ounce (or larger) microwave-safe mug with straight sides. Top with remaining 1 teaspoon sprinkles. Microwave on high for 1 1/2 minutes (give or take 30 seconds depending on the strength of your microwave), or until cake is done to your liking. Allow to cool for a couple of minutes before serving. The strength of individual microwaves can vary. 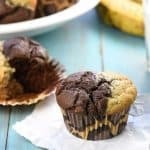 The first time you make this recipe, be prepared to experiment a bit to ensure the perfect length of baking time for your particular microwave. The nice thing about this cake is that even if it is undercooked, you don't have to worry about raw eggs! Unsalted butter will work just fine in this recipe, but I find that using salted butter adds a tiny flavor boost. If you only have unsalted butter on hand, consider adding a tiny pinch of salt to the dry ingredients. 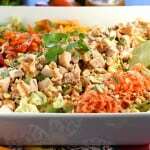 You may use regular sprinkles or natural vegetable-dyed sprinkles. 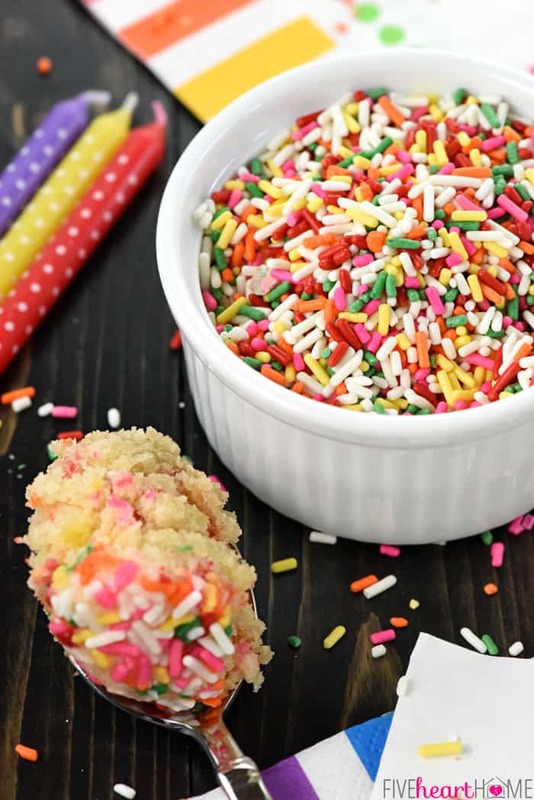 You may use nonpareils or jimmies. Woo hoo! Thanks for the giveaway and happy Blogiversary to you! Samantha, Happy Blogiversary! I hope you will keep posting for another 3 x 20 years or more! You are so talented and generous in what you share and now this fantastic giveaway is beyond words. Being a school teacher I could tell that those precious and amazing homemade congratulatory cards were made with lots of love. Thank you again for helping me be the best baker and cook I can be. Thank you so much, Kay…what a thoughtful, heartwarming comment! 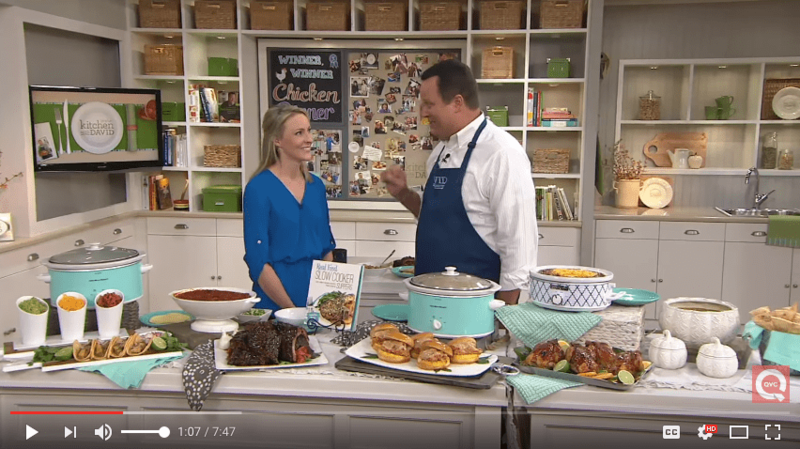 I am so happy to hear that you enjoy my blog and recipes so much, and I plan on continuing to share for many years to come. 🙂 Hope you’re having a fantastic week! Awww! 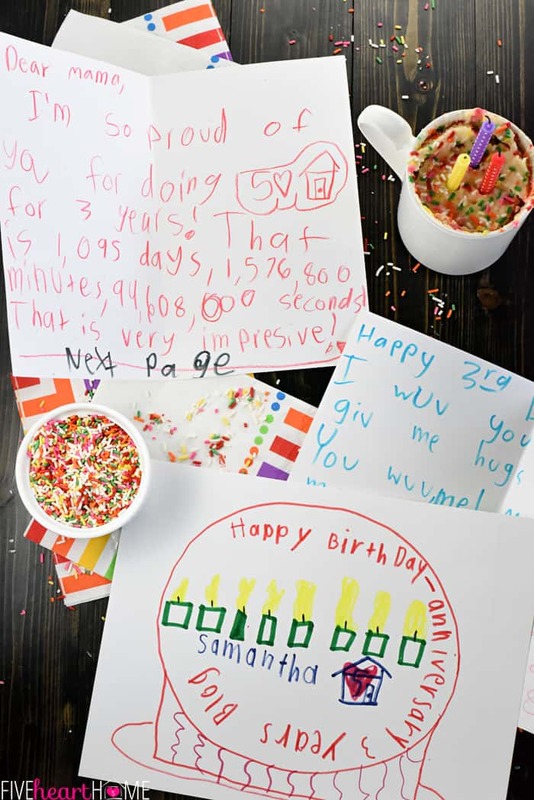 The cards from your little ones are adorable! Congrats on the 3 year mark! Hopefully it continues! I enjoy your recipes! Oh, Joanna…thank you so much! Your sweet comment illustrates exactly why I love blogging…it is so gratifying to hear that you find my recipes and tips both helpful and enjoyable. 🙂 I really appreciate you sharing that with me, and I hope your summer is off to a fantastic start! Congrats on 3 years and your new book friend. You’ve done amazing things in 3 years! Happy anniversary! 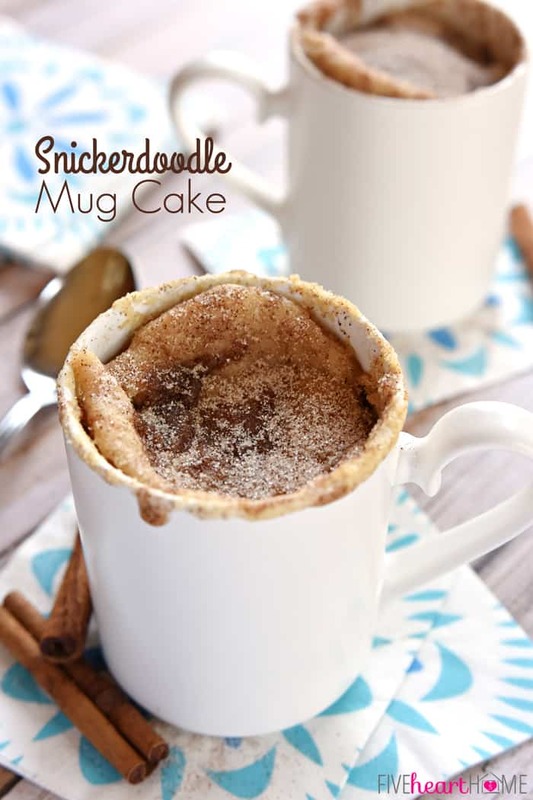 Cute mug cake. I love funfetti. 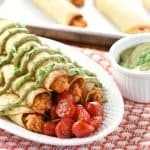 This is a great cozy make it in a hurry snack. What can be better than that? Yum! Thank you, Diane! Aren’t funfetti recipes just so happy?! 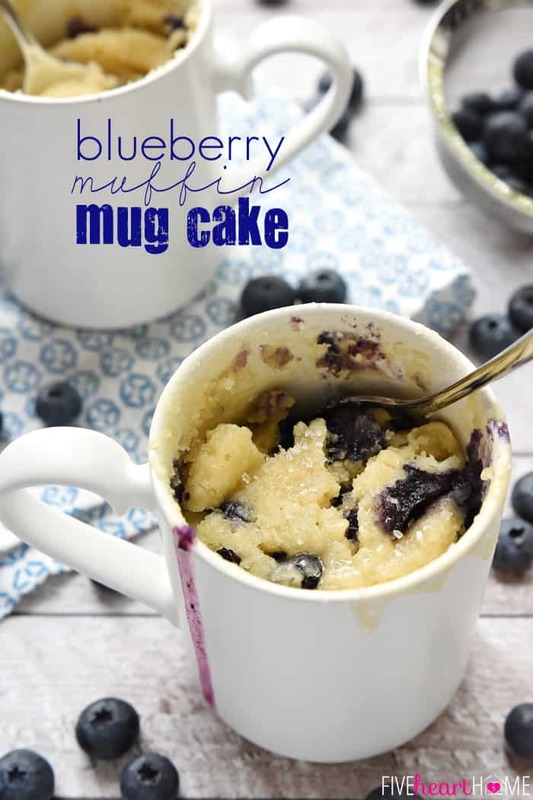 love love love mug cake! So much fun! Congrats on 3 years! Happy Blog Anniversary! 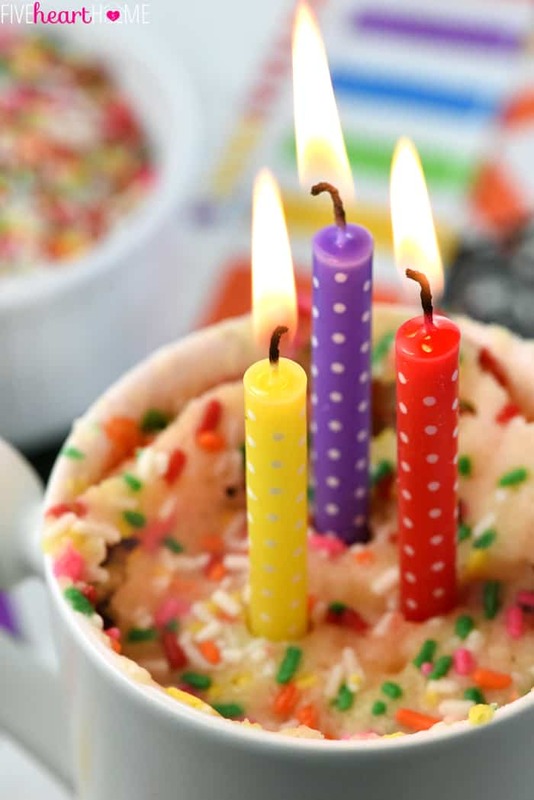 This mug cakes are so creative, fun and festive, perfect way to celebrate amazing 3 years. Cheers! This is such a fun way to celebrate for two. Happy 3rd anniversary! Too bad I missed out on this!